Cockroaches can no longer be regarded as merely humble, nasty insects. It has now been scientifically proven that each of them, despite still being widely loathed, has a personality and displays different individual character traits. 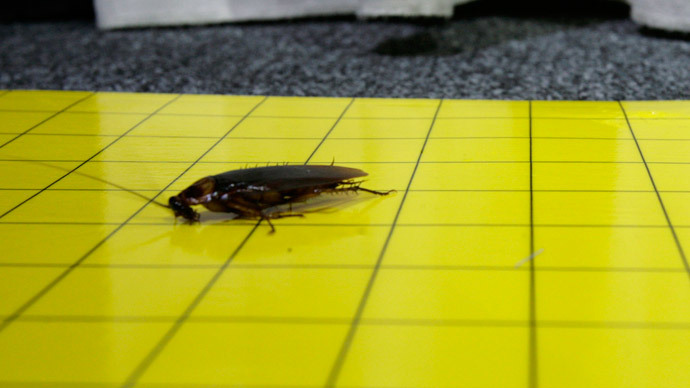 Scientists from Brussels, Belgium, have closely studied the behavior of Periplaneta americana, or the American cockroach, as a part of a broader study on collective decision-making. It was hypothesized that if cockroaches had no personality, they would all behave exactly the same when in the open. Some 304 cockroaches with RFID chips on their back were chosen for the experiment. Initially kept in darkness, the roaches were then led to 16 brightly-lit, arena-like areas with a few dark shelter, each one contained by electrified wires at the edges to prevent them from escaping. During the test, scientists also measured the speed with which roaches found shelter and the time they spent exploring and seeking out new supplies of food. This is when it became obvious that all cockroaches have different personalities: Their social behavior was not similar when they were firs put in the arenas and rushed to darkness and safety. “We have categorized the observed personalities,” Isaac Planas Sitjà, one of the researchers from the Université libre de Bruxelles, said. “We call them “shy or cautious” and “bold or explorers”. Thus, “shy” individuals spent more time sheltered and explored the arena and the surroundings less, while “bold”, on the other hand, spent most of their time looking around and spent less time in safety. Different personalities are believed to help the survival of the species because different behavior means that at least some of the group is likely to survive in case of a disaster. This might also be an explanation to cockroaches’ evolutionary success.